DESCRIPTION Look no further! 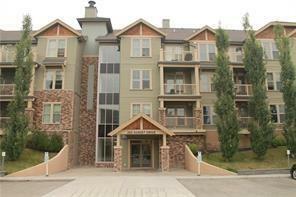 Welcome to Alora of Sunset located in the community of Cochrane. This complex has everything you will need, from gym, guest suites, elevator, one titled underground parking, one outdoor parking stall, plenty of separate storage and in suite storage, in suite laundry, guest parking, this list could go on...This unit is perfectly located to provide you with plenty of green space right off your patio door. Gorgeous cork flooring, stainless steel appliances, two bathrooms, two bedrooms, raised eating bar of kitchen wonderful for your entertaining needs. You must see this unit, looking for new owners. Walking distance to shopping, local bar, walking paths and mountain views. Call now for your personal tour. Home for sale at #108 205 Sunset Dr Cochrane, Alberts T4C 0H6. 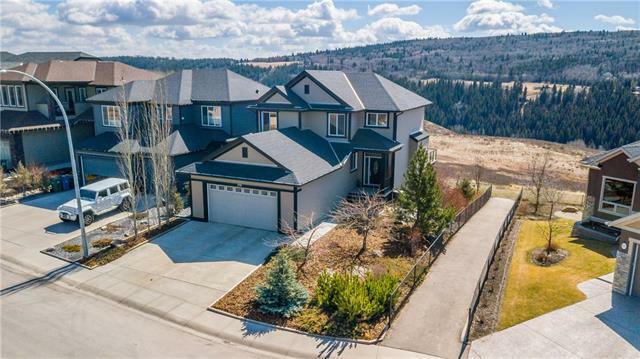 Description: The home at #108 205 Sunset Dr Cochrane, Alberta T4C 0H6 with the MLS® Number C4223427 is currently listed at $229,000.